Frank and Joe have come to the Everglades to experience the thrills of the swampland rodeo. But the thrills turn to chills when they land in a swamp full of trouble. From sabotaged boats to quicksand traps to man-eating alligators, someone’s out to drown the Hardys in danger! 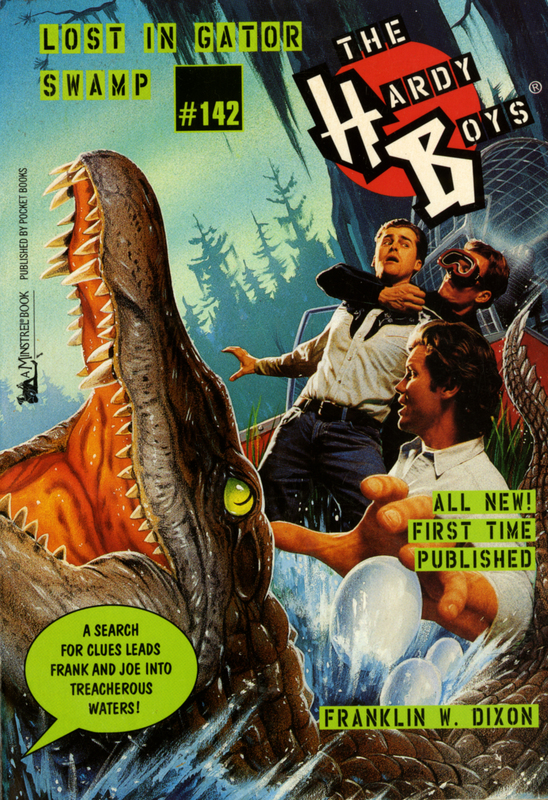 The boys suspect a connection to a recent Miami heist, in which the fleeing crooks and all their loot vanished in the swamp. Now the Hardys’ investigation is about to lead them from the gator-infested everglades to a high-seas showdown...where they could end up swimming with the sharks!